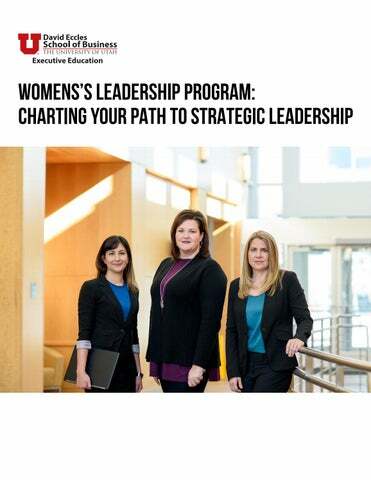 WOMEN’S LEADERSHIP: CHARTING YOUR PATH TO STRATEGIC LEADERSHIP Overview Many individuals eagerly await their chance to be a strategic leader, envisioning a formal, high-level position earned after years, if not decades, of experience. This course makes the radically empowering assumption that regardless of where you are in your career, you are already a strategic leader. In this program, you will learn the critical skills of informal and formal motivation, managing time constraints, estimating risks, and communicating with diverse stakeholders. You will gain concrete skills and begin to shift your mindset to position yourself to motivate and inspire others to take risky, time-sensitive actions to create value and drive impact. Using strategic leadership concepts, participants will focus on mapping out critical next steps to realizing your career goals. Your path to strategic leadership will leverage resources and exploit emerging opportunities. To ensure high value, hands-on exercises and case studies are utilized in each segment of the class. Who do we think we are? Where do we want to be? Executive Education Certificates Certificates are a great way to build the skills you need to advance your career while tracking your professional achievement. This class counts towards a Women’s Leadership Certificate. 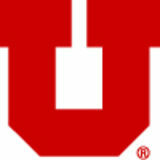 Faculty Lead | Dr. Patricia Gorman Dr. Patricia (Trish) Gorman is managing director of the Goff Strategic Leadership Center at the David Eccles School of Business at University of Utah, where she also teaches strategy. She is an accomplished educator, author, and consultant whose passion is bridging the gaps between the classroom, the team room, and the boardroom by helping individuals and organizations build the skills needed to execute innovative growth strategies.